The Sam M. Vadalabene Center for Health, Recreation and Physical Education at Southern Illinois University-Edwardsville is home to the university’s Intercollegiate Athletics and the Department of Kinesiology. The building houses a multipurpose gymnasium, combative room, dance studio, gymnastics room, swimming pool, racquetball courts, showers, and saunas. 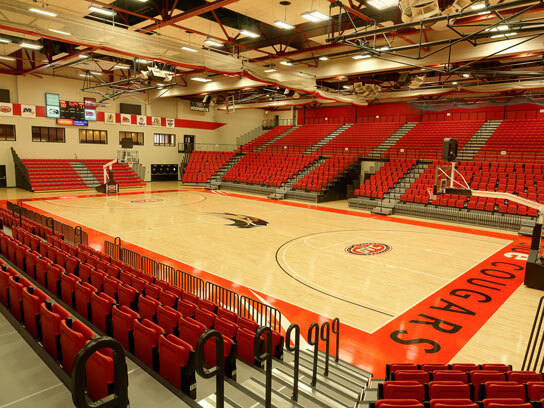 Home of the men’s and women’s basketball, volleyball, and wrestling teams, the gymnasium seats up to 4,200 and is frequently used for concerts, trade shows and summer camps. 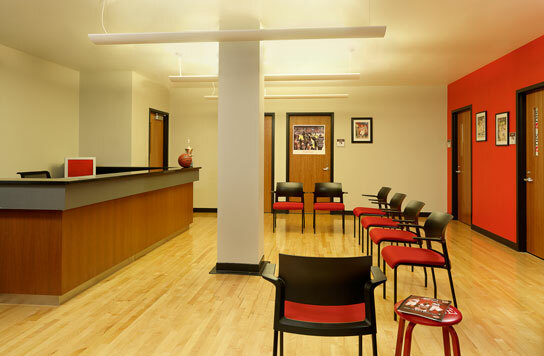 KWAME served as Construction Manager for renovation of this facility, including replacement of the existing single-tiered bleacher system with a two-tiered system. The project captured an additional 13,800 square feet for offices, classrooms, expansion of public restroom facilities for women and storage to be used by the Athletics, the Kinesiology and the Health Education Department.